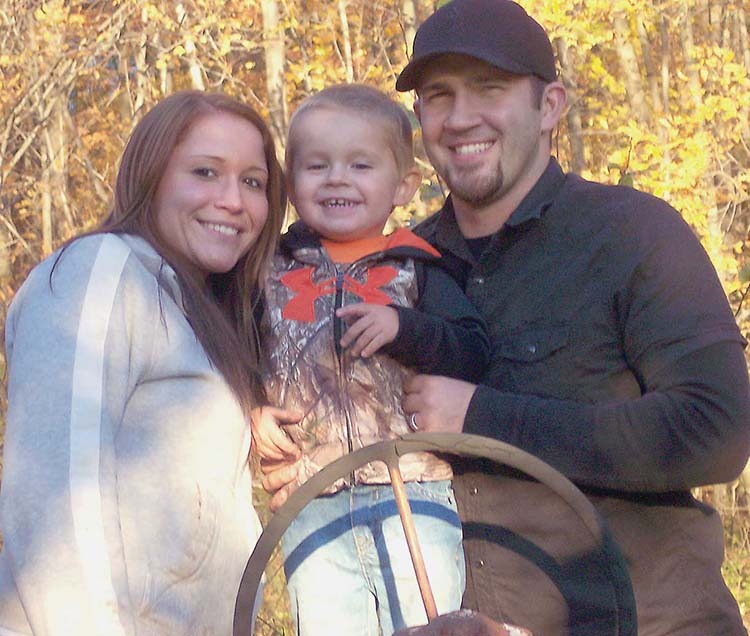 Erica and Robert Rutter met, got married and had a son. Their American dream quickly centered on making a better life for Emmett, now 3. When they met, Robert was a busy automotive technician, making good commissions. Then came an economic downturn. “I loved it for the first couple years, but when there was no work, I wasn’t getting paid,” he recalls. Career and technical education provided vital answers. Robert did some research and saw the need for diesel equipment technicians. Technical school, they determined, would get them in the workforce faster and with lower tuition expenses. While on a waiting list for the diesel program at Madison (Wis.) Area Technical College, Robert suggested Erica look at automobile collision and refinishing. Having worked in metals, Erica — who sees herself one day working as an insurance adjuster — took her husband’s suggestion. A week before her classes started, a spot opened for Robert. When they’re not in school, Robert works as a diesel technician for a landscaping company, and Erica takes care of Emmett at home. Asked about maintaining their busy schedule, Erica alludes to energy drinks. They live nearly an hour and a half from school and see a lot of late nights and early mornings. “Our son basically is what keeps us going,” she adds. “We’re trying to do good by him. It’s hard to explain. We’re doing this not only for ourselves but for him as well, so we can make sure he has a bright future. Educational plans in place, standout résumés became the couple’s next goal. Enter SkillsUSA. Robert joined, then convinced Erica to do the same. Both made it to their state competition. Then, just before their contests, Tom Wozniak, SkillsUSA Wisconsin’s college/postsecondary director, talked to them about running for state office. They both decided to give it a try. He was elected state parliamentarian; Erica, historian. In their competitions, Robert took third and she placed sixth, pretty good for first-year students.